Are you considering making the big trip ‘down under’ to study a masters in Australia, but you’re not sure where to begin? There are lots of great reasons to choose Australia for your postgraduate studies. Having an international outlook and cultural awareness is attractive to potential employers; it shows you can adapt to new environments and have an appreciation for different perspectives. You will be able to master the English language and be exposed to various international career opportunities. But it can also seem daunting. If you’ve been put off by concerns of prerequisites and language barriers, there are now exciting new pathways that can make your dream of studying a masters in Australia, completely achievable. The University of Adelaide College launched a Pre-Master’s Program last year which, on successful completion, will guarantee entry into a range of master’s degrees at the University of Adelaide. Just follow this step-by-step guide for international students and kick-start your application process today. 1. Research and select the right course for you. There are 43 different universities in Australia, and a range of vocational and private colleges. Do your research and find out which university specialises in your chosen field. If you’re studying medicine, for example, you will want to choose an institution that has the best training facilities. 2. Look at the entry requirements for your course. Are you able to directly apply to your course? If so, go to step 4. 3. If you’re not able to fulfil the entry requirements at present, don’t worry! There’s another way. Some institutions offer pathway courses that lead directly into postgraduate studies. A preparation course is a great option for students who need to improve their English levels and various academic skills, before beginning a masters in Australia. The University of Adelaide’s Pre-Master’s Program is the first of its kind in offering a pathway to studying a master’s degree at one of the prestigious Group of Eight Universities in Australia. The course can be applied to postgraduate studies in business and economics, health sciences and arts, and comes with a range of support services to help you get the best results. “This Pre-Master’s Program has helped me so much by providing a solid foundation for me to continue to develop my abilities, not only in language, but also my major. 4. Apply for your course. So, now that you’re confident that you fulfil the entry requirements, you’re ready to apply. You will typically find all the enrolment forms and deadlines for your course on your institution’s website. If you’re unsure, it’s best to contact student services. If you’re still completing your education, you can usually provide evidence of your most recent marks until it is possible to share your final results. 5. Receive your Confirmation of Enrolment. You will receive by mail a letter of acceptance, to be followed by your ‘Confirmation of Enrolment’. Your institution will tell you when you can expect to receive these. 7. Success! You’ve been accepted! Now it’s time to do a little fun research on what your life is going to be like in your new country. 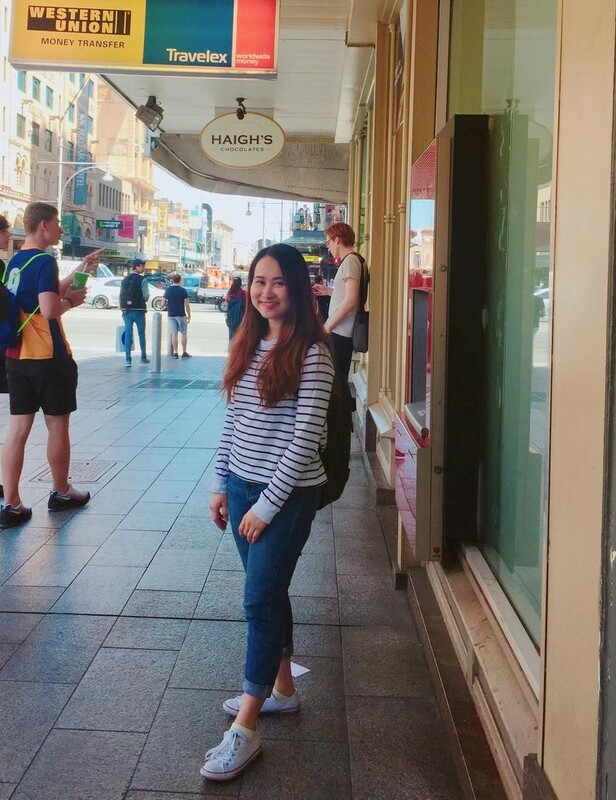 Check out the University of Adelaide College blog for student stories, guides and all you need to know about student life in this vibrant city. You can find more information about the Pre-Master’s Program in a recent blog that you can read here, tips for packing for a move to Adelaide, and much more! The University of Adelaide College also has a brand new interactive guide tool which let’s you explore different course pathways and gives you a sneak peek at student life at the College and in Adelaide. See here for more information about starting your degree pathway to the University of Adelaide at the University of Adelaide College.